Five percent of people in the U.S. are allergic to insect bites and stings, and the proportion continues to grow. If you have these allergies, you may be bracing for the late summer months, when insects are particularly active, but did you know that there are treatments that can make you less reactive? While August and September are the typical time of year for these kinds of allergies, some insects are active all year long. Insect allergies can make it especially difficult to enjoy outdoor activities, such as picnics, hikes and camping. Consulting with an experienced allergist can help you to identify all your triggers and reduce the likelihood that you’ll experience a serious, life-threatening reaction after a bite or sting. When it comes to insect bites and stings, allergies are usually a reaction to venom. 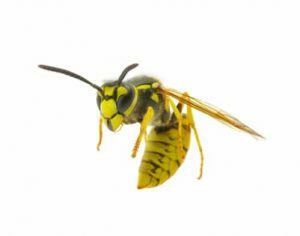 The five varieties of insects that are responsible for most allergies are yellow jackets, honeybees, paper wasps, hornets and fire ants. If you experience an allergic reaction to a bite or sting once, then do not have an allergic reaction for years, there is still a possibility that you could experience a serious reaction in the future. For adults, the likelihood of a reaction in this situation is 70 percent and for children it is 30 percent. Emergency medications, such as EpiPens, can help prevent the fatal effects of anaphylaxis. However, what may not be common knowledge among allergy sufferers is the fact that venom immunotherapy will reduce the risk of anaphylaxis from any future insect bites and stings. This form of treatment involves exposure to small, regimented doses of the venom that causes the allergy under medical supervision. With each treatment, your immune system’s sensitivity decreases, even as the doses grow larger. Typically, within two to three months, you should be ready to start receiving full doses of venom immunotherapy, and you will have a significant level of protection. Ideally, patients should undergo venom immunotherapy for between three and five years. These shots may not completely cure you of your allergy, but they should greatly reduce your risk of anaphylaxis and make allergic reactions milder. Personal health advisors can direct you to experts who specialize in venom immunotherapy or other strategies for dealing with insect allergies. This will help ensure that you can enjoy the outdoors in the late summer months and all year long.